Do you know that the spinal cord is one of the weakest bones in the body? Worse is that it is irreparable. The spine is not like other bones in the body that can be aided to heal when there is a fracture or defect. Improper care of the spine can cause back pains leading to job-related disability. It is a leading cause of paralysis and loss of sensation. In a research made by the National Institute of Neurological Disorders and Stroke (NINDS) low back pain is the leading cause of job-related disability. Back pains are a normal phenomenon for a lot of people as people do not really pay attention to their back except when they experience pain. 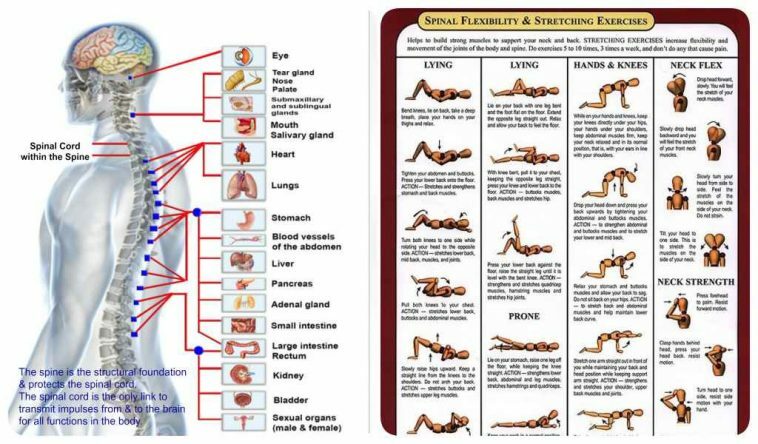 Do you know that the spine is a communication link between the brain and the body? Well, whatever happens to the spinal cord, the brain loses its communication with the body thereby, rendering the body useless. 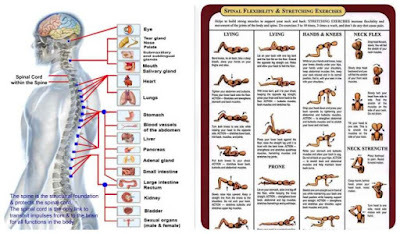 It doesn’t have to be a major flaw but whenever the spinal cord is not properly aligned due to stress or improper posture it causes the communication between the brain and body to be interrupted leading to health issues. Spinal defects can be prevented that is why in this article I will be giving seven (7) ultimate tips for a healthy spine. At the end of this article, you should have the knowledge to help you keep a healthy spine. If you are really certain about keeping a healthy spine then this seven tips is something you should not take likely. It is important you make this a habit that you follow on a daily. This is definitely a cliché; I mean you probably had this at the back of your mind that you should exercise regularly to keep a healthy spine. Regular exercise like walking, running, and swimming will not only free your spine from numerous disorders but it helps to keep the whole body strong and healthy as well. Maintain a habit of at least 30 minutes exercising 3-4 times a week for effective result. This is one aspect we tend to overlook; most people do not even know it is wrong. If you are the type that spends long hours sitting while working then you should be conscious of your posture. The position in which you sit can disrupt your spinal alignment thereby causing stress on both the lower and upper back. Choose a chair that provides lower back support, ensure your feet are resting comfortably on the floor and your knees should be 90 degrees same level as your hips. Do this while working on your laptop, phone, or reading table and always take breaks at an interval. Take a walk around your workplace because spending too many hours in one position can cause your back muscle to become immobile. Taking that break at intervals will not only allow proper spine alignment it will also increase your productivity and mental health. Getting proper and regular sleep is very important as it is also a form of exercise. The body revives itself after a good sleep, making you more productive and ready for the day. It also helps to keep the spine healthy as long as you sleep on your side and not your stomach. Sleeping on your stomach could twist your neck. Invest in a good mattress that supports a proper sleeping position to avoid getting your spines and backbone in pains. It is a common thing to lift heavy substances with the weight of our back. We do this because it is easier and more comfortable but what we do not know is that it causes more damage than comfort to our spine. This is how to lift a heavy object; stand close to the object and use the weight of your leg and knee to support your hands. This allows your hands be in the same level as the object. However, always get help when it is too heavy. Spinal cord problems aren’t something you should overlook. It is an important bone structure that needs care if you want to have full access to the use of your body so you should not leave it untreated or unexamined. Consult a physician when your back indicates a more severe pain than the regular back pain. Listen to your body and seek medical attention when the need arises. Do not wave it off as one of those things. Health they say is wealth. It is important to stay healthy in order to protect your spine. Eat healthily, lose or maintain a healthy weight, drink water. Ensure you keep a healthy amount of weight because excess body weight can stress the muscles and tendons in the lower back. Stretch your back and neck to help maintain proper joint functioning. It doesn’t matter where you are; endeavour to keep the habit of stretching your body in order to reduce injury. Regular stretches help to maintain healthy joint and muscular function thus encouraging a healthy spine.